In 1929, a man by the name of Enzo Ferrari founded Scuderia Ferrari for motorsports. In 1947, the business expanded into street legal cars. 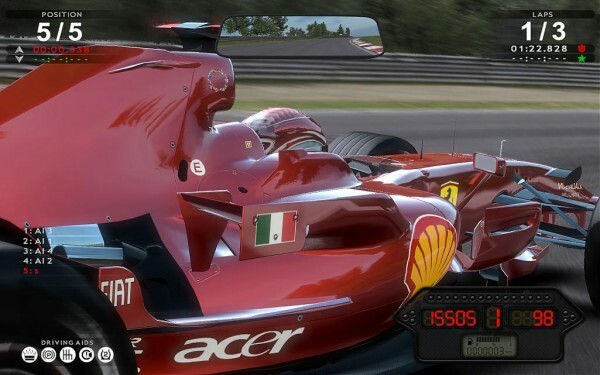 In 2012, Slight Mad Studios brings the world Test Drive: Ferrari Racing Legends. 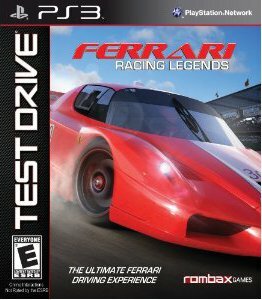 Published by Atari, Test Drive: Ferrari Racing Legends brings out sixty five years of Ferrari into one video game. The slick look of the cars are accompanied by the beautiful sound of their roaring engines. However, will a few flaws stall the game like stalling a manual car? 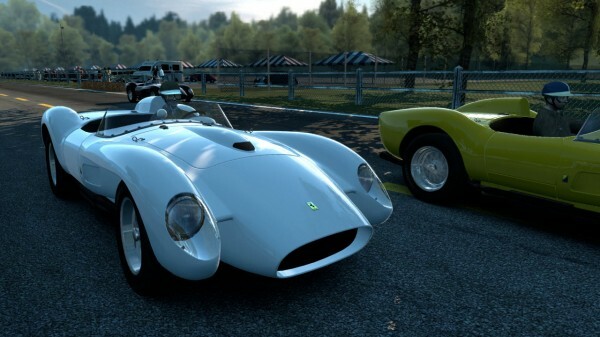 Realism is the name of this racing game as Slightly Mad offers something for the veteran racer. The cars do feel good to drive. Handling is a mixed bag, depending on the car chosen to drive with, but most are good, since Ferrari do offer excellent cars with great handling. There is a sense of being behind the wheel of these cars as they are taken on the tracks. What is done right here, though, can be hindered at the same time. Driving aids are available for those who are not so skilled with racing games, as well as lower difficulty levels to be more accessible. The driving aids can get in the way with enjoyment, which is a real shame. The main mode of gameplay is the campaign mode. 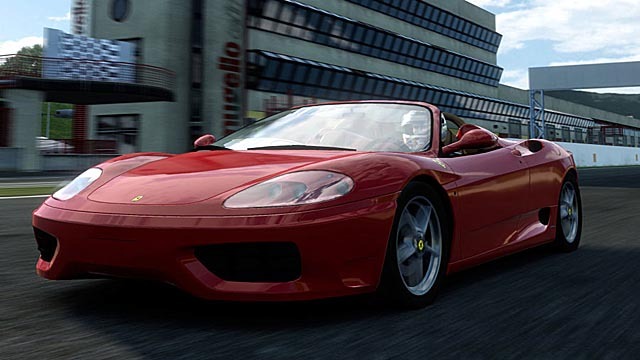 In this mode, the player relives the glory days of Ferrari through three different eras. The Golden Era (1947-1973) covers the beginning of the Ferrari juggernaut with cars such as the 125 S and 125 F, their first F1 car. The next era, the Silver Era (1974-1990) goes into the age of the Testarossa and the F40. 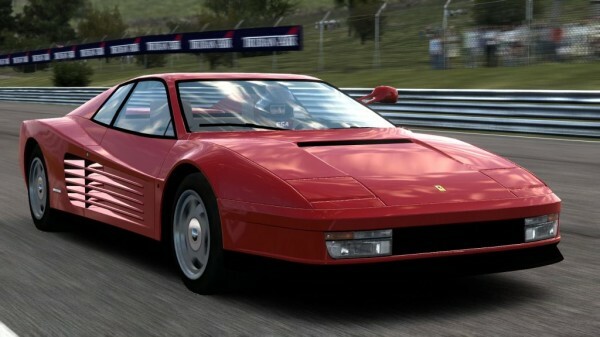 The third and final age, the Modern Era (1991-2011) brings the more modern cars such as the Spider and the Enzo into the player’s focus. Each era has a set of missions that must be completed, complete with a main objective and a bonus objective. This should have been the crowning jewel of the game, seeing that the player goes through the existence of Ferrari. However, the whole campaign just feels shallow. The objectives do vary but they will repeat often. The story tacked on every era wasn’t necessary either. It didn’t give any motivation to complete the mission and felt too basic. With that said, it is necessary to complete it as it is the only way to actually unlock all of the locked cars and tracks for use in the other modes. Speaking of the other modes, Test Drive offers more modes for the player to indulge in. Of course, quick race is available, where the player simply jumps into a race. Of course, the car, tracks, opponents and time of day can be chosen by the player. The ability to choose the type of cars used can also be chosen, although that is limited in itself. Players can also go through a time trial with similar options available. Multiplayer is also available, but this is where it becomes a little unforgiving. It isn’t the gameplay during multiplayer, it is the fact it is only online multiplayer, so anyone with a desire to play split-screen will be out of luck. The split screen multiplayer is staple in the racing genre and for Test Drive to forgo that is surprising. If there is split screen, then it is not made clear, which is also disappointing. Another problem also seems to be the difficulty level, especially in the campaign mode. While the beginning of the Golden Era does its job into easing in the player, down the line, there will be a sudden spike in difficulty, even on the easiest difficulty. There is really only one way to describe this particular element of game design: poor. It is punishing for someone to have it easy at the beginning only for the difficulty to take a sharp spike upwards, increasing frustration for the player. The player is supposed to ease into an increased difficulty. If the player feels that the crash is because of their poor driving, that happens to be a good thing. Frustration occurs when the game is to blame. The visuals for Test Drive Ferrari aren’t as spectacular as watching a F430 speeding down the straight, but still holds itself. The detail of the body work of the cars is quite amazing as they recreate the famous cars to the finest detail. The tracks aren’t bad either, with some of them looking spectacular. However, the heads up display (or HUD) is scattered all over the screen. Too much information that isn’t required cluster around the screen, providing an annoyance. The guys at Slightly Mad, however, did allow the simple press of the d-pad to turn off the HUD, providing the player with a clear frontal view of the track. The menus are quite basic. What is also quite important for the cars is how they sound. Ladies and gentlemen, Slightly Mad has nailed the sounds of Ferrari. The roar of the engines is beautiful for the car loving gamer. It is done so well, one could create the Ferrari symphony just using the sounds made in the game. Outside of the cars, the music isn’t too bad. Pretty stocky, actually. It’s hard to recommend Test Drive: Ferrari Racing Legends for anyone who isn’t exactly a fan of both the racing genre and the Ferrari brand and that is still a stretch. While the gameplay brings realism to the beautiful cars, it is missing the fun of driving at 250km/h, a feat no game can bring when compared to actually driving one. The tracks are beautifully recreated, but the campaign feels shallow with repetitive objectives and the spike in difficulty, even in the easiest setting. A lack of a real showcase section in the game is minor, but it is a game full of Ferrari cars. While those who love realism in the driving games will enjoy the collection of Ferrari cars and the game, it may not be the game for anyone else. Josh is the name, writing is my game... well my degree will say that. But, when uni gets me down (and it does), there is no better way that to grab a chair, sit back and slicing up some Darkspawn I started my gaming interest back in the good old 16 bit era with the Sega Mega Drive and Sonic The Hedgehog 2. I was roughly five years old. To this day I still try to fire up the dusty companion and speed through the wacky and bright levels, jumping on some Badniks, collecting those damn Chaos Emeralds. Then I moved onto Sony's disk based console the Playstation (thanks to my uncle). Since then I have picked up each of Sony's consoles from the 5th to current generation that has been released in Australia (with more to come). In terms of writing about games, I am quite new to the field. I started out late last year with my own blog before deciding to move to greener pastures. I have written a few reviews for the Playstation 3 and Playstation Portable. Features as well. I hope I can flex my muscles while writing with Capsule Computers. If I'm not gaming, however, I'm writing narratives. I am currently trying to kickstart a high fantasy novel (which, hopefully, turns into a complex RPG) that I want done in five years or so. My passion of writing has been there for a long time and has flourished as I grew. I'm into the fantasy genre, both games and novels, and thoroughly enjoy a deep and complex RPG, whether it comes from the East or West. Oh and anime is awesome!